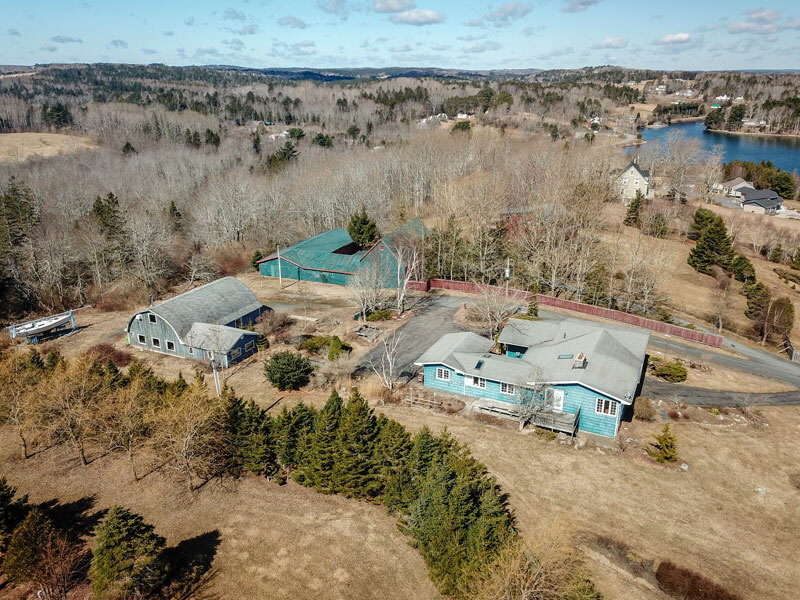 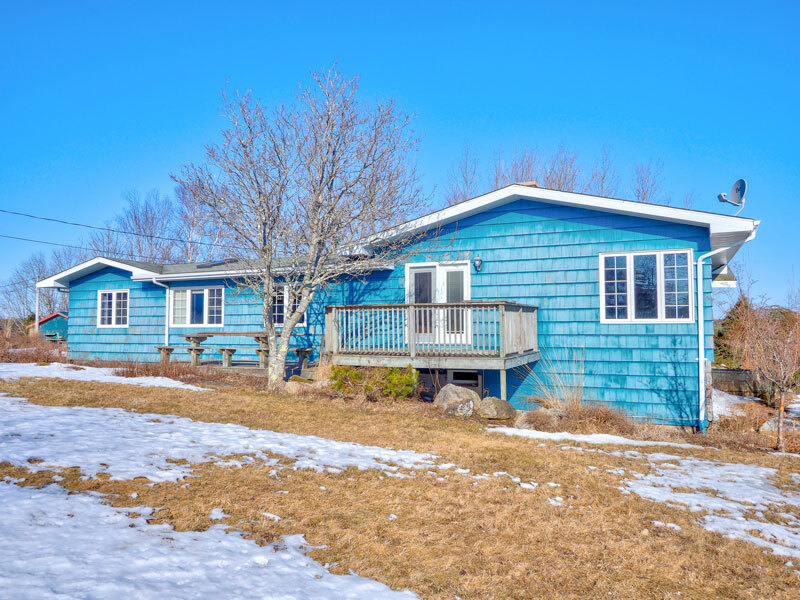 With elevated panoramic views over Princes Inlet towards Lunenburg Yacht Club on Hermans Island and the islands beyond, past the Tancook Islands, this 1.3 acre property also includes a 2,285 sq. 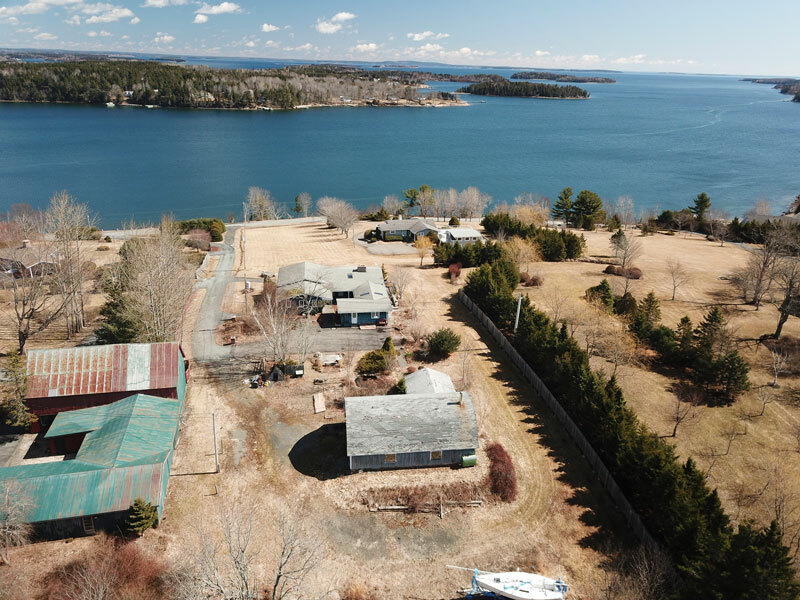 ft. lot on the water across the road, with the potential of constructing a wharf. 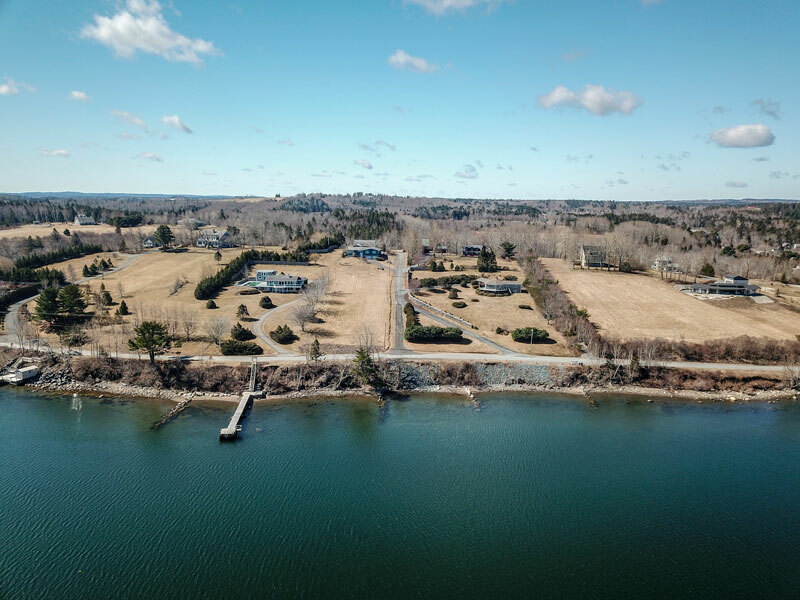 Mariners might also consider using the facilities at the Lunenburg Yacht Club, with the option to rent a slip and or a mooring. 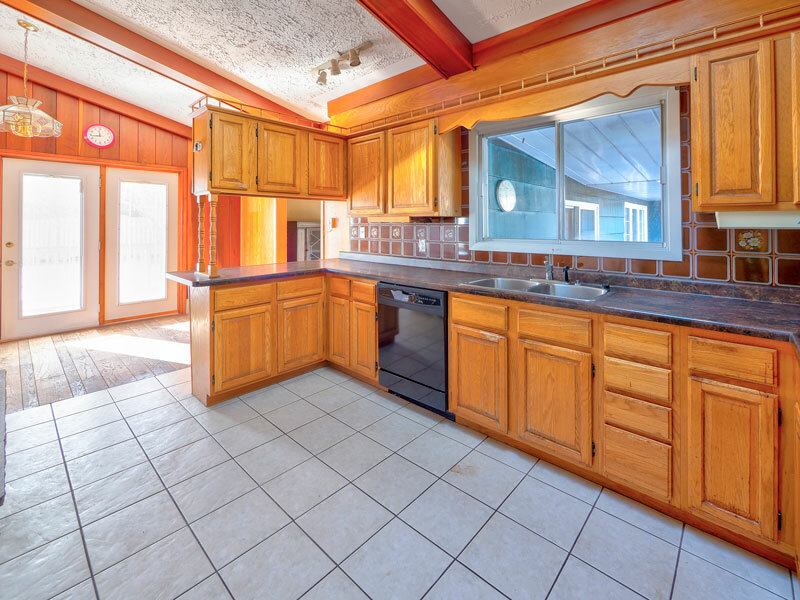 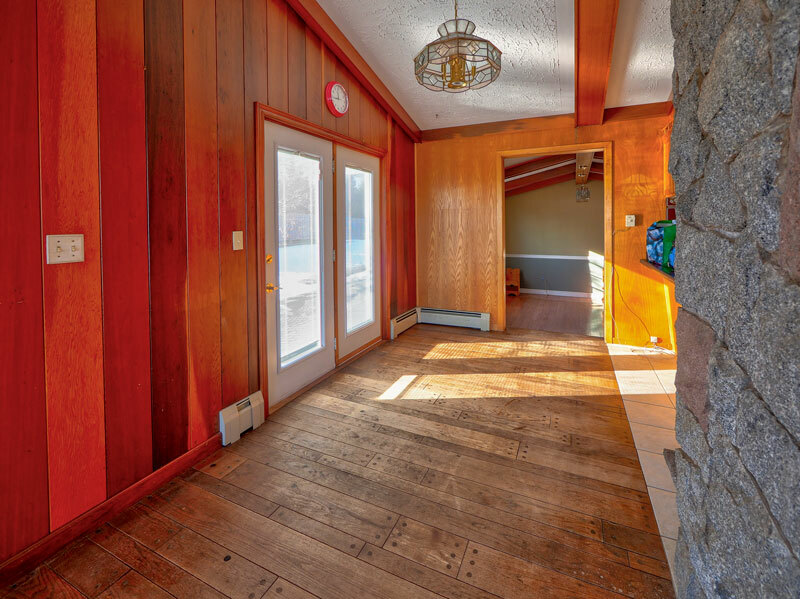 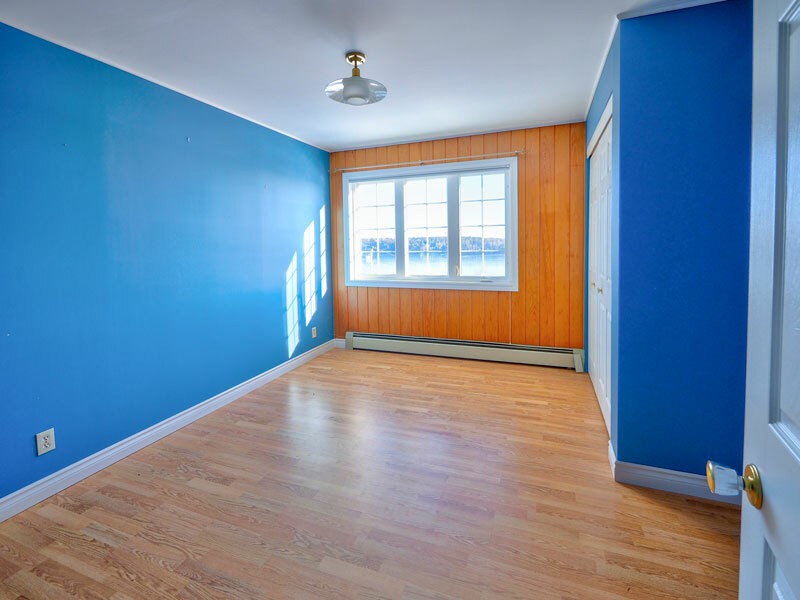 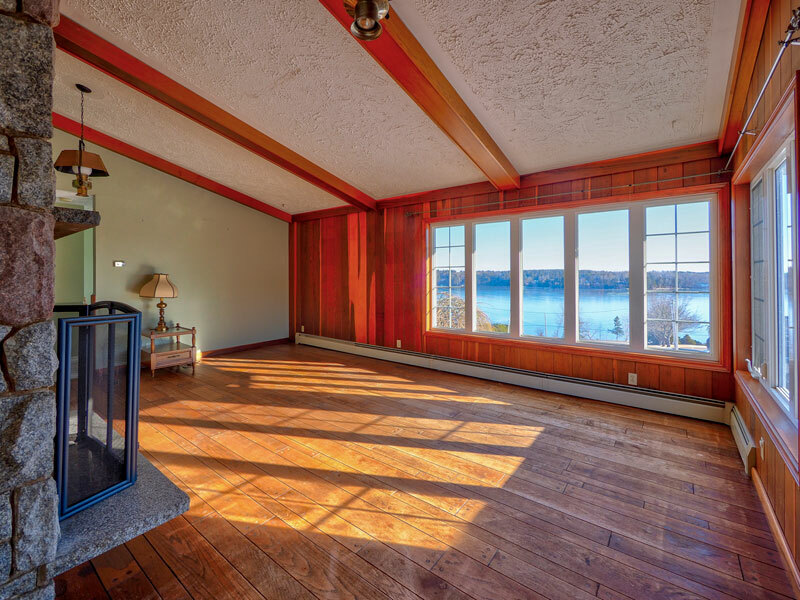 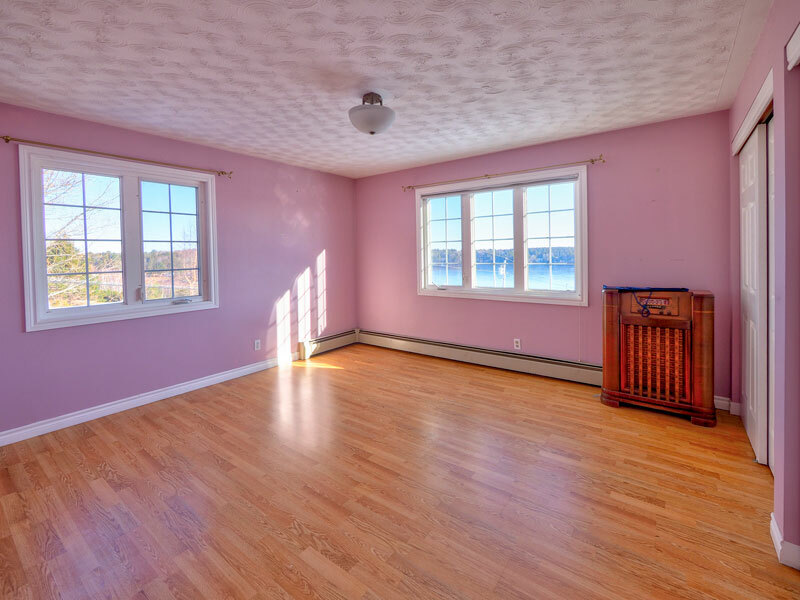 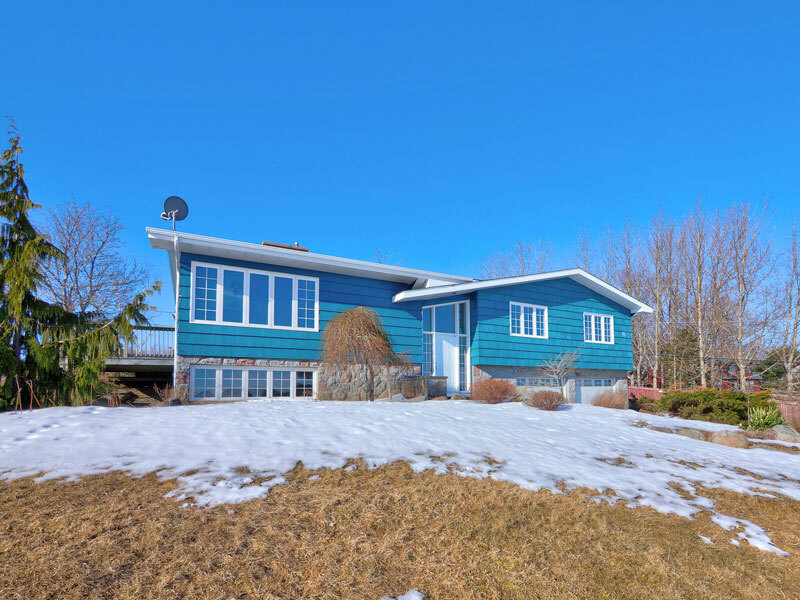 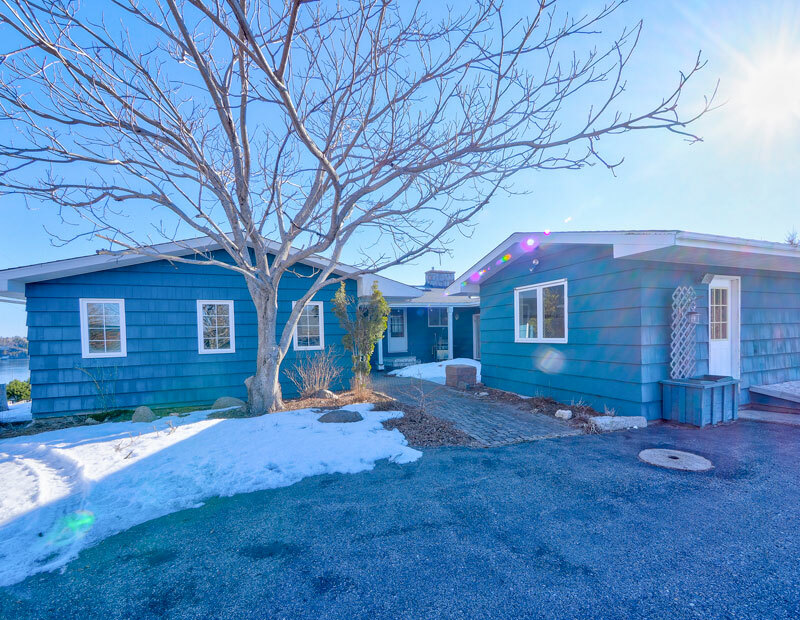 With 4 + bedrooms, this ocean view 70s home could accommodate multiple generations. 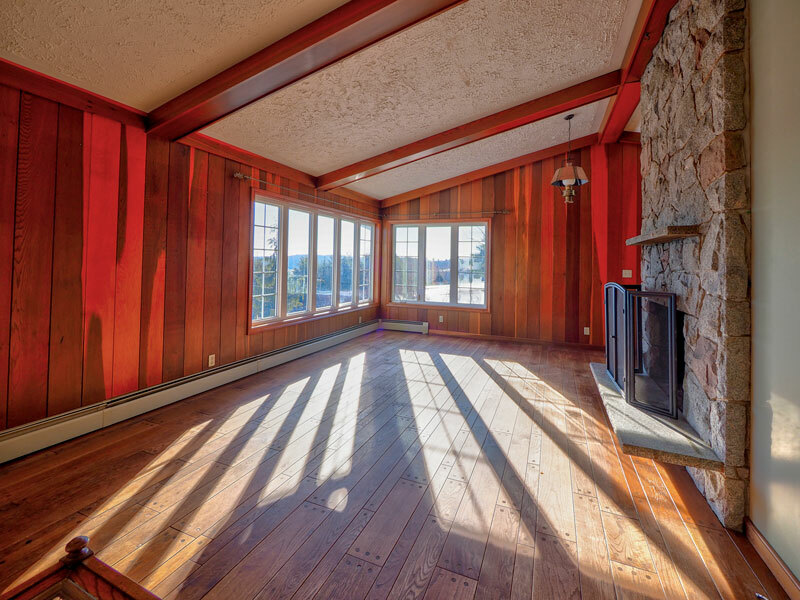 The main living area is all on one level. 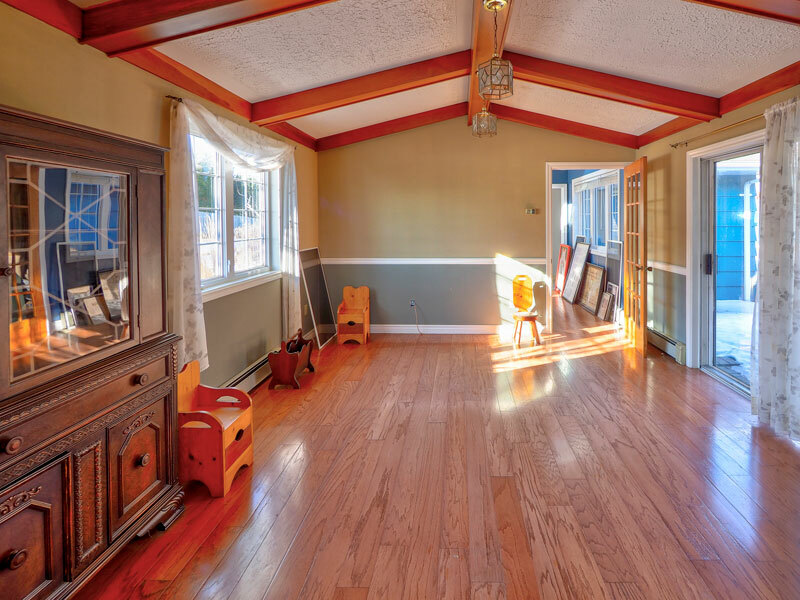 There are two wings and either could be renovated to add a granny flat. 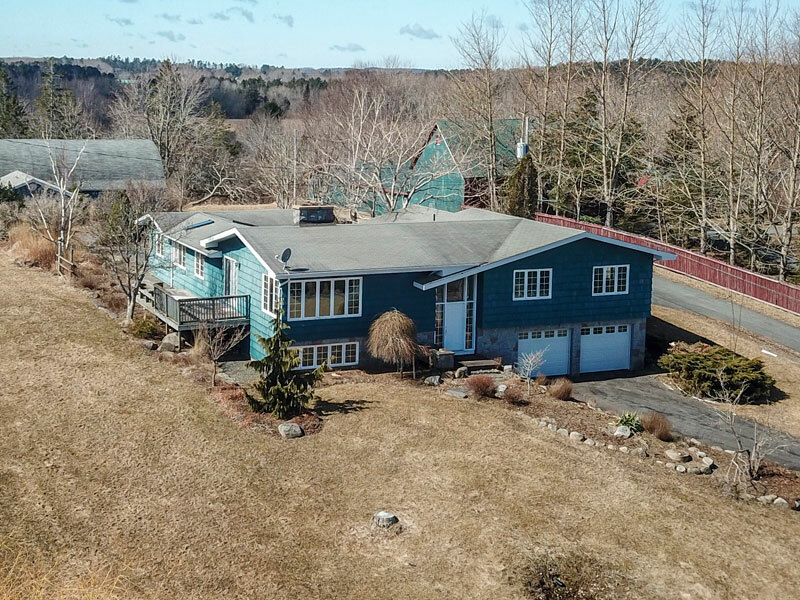 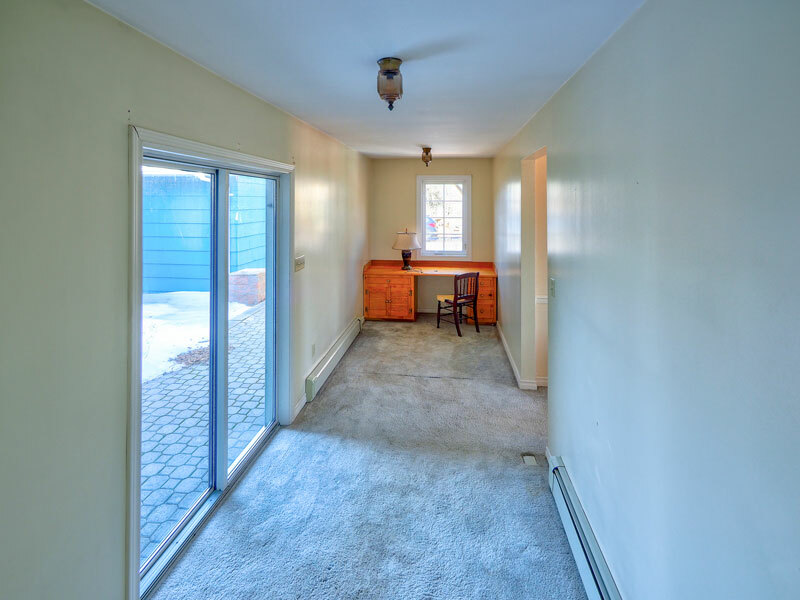 Lots of room for entertaining both inside and out .... BBQs in the sheltered court yard off the kitchen, on the 9' x 35' water view deck or the 10' x 10' garden deck. 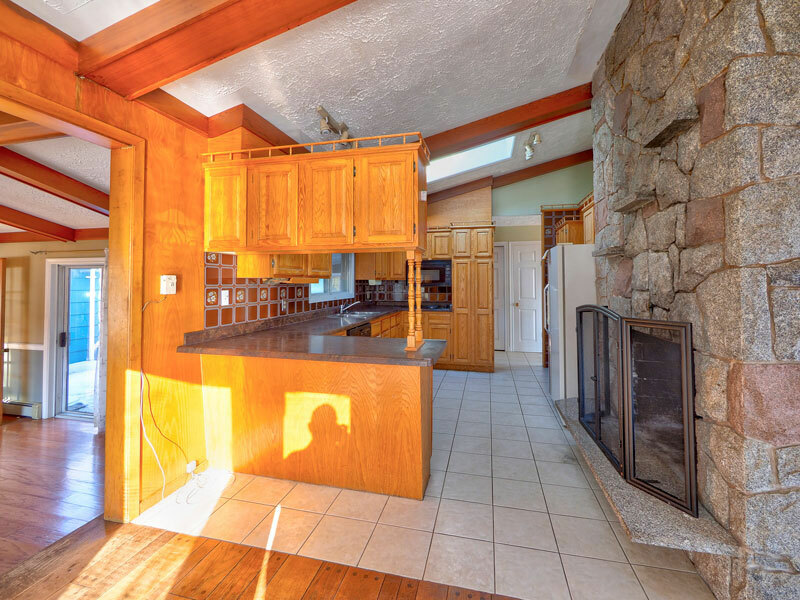 There is a floor to ceiling double sided granite fireplace between the kitchen and the living room. 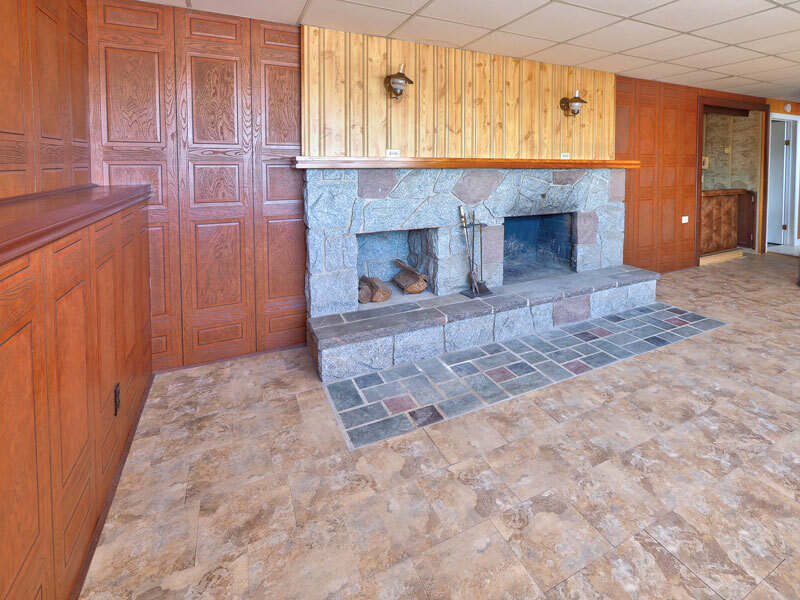 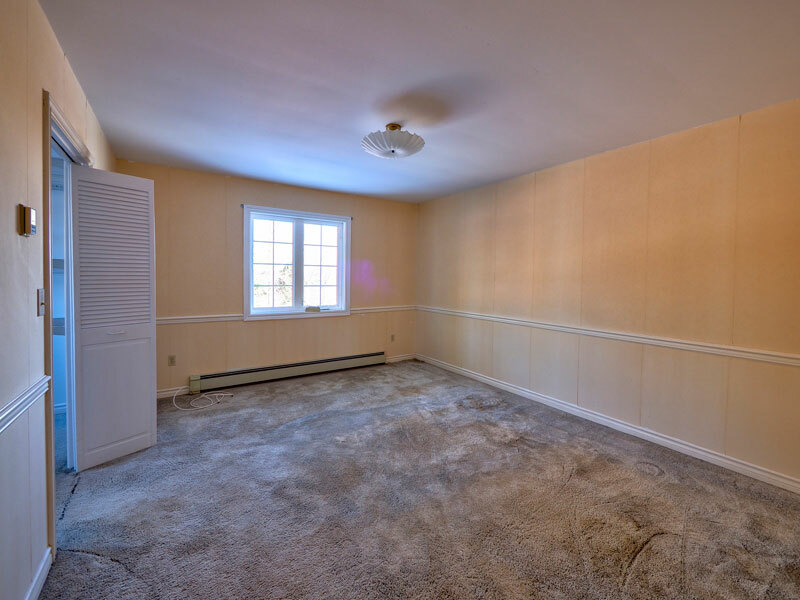 The basement includes a family room with a fireplace, which could be a media room or a home office. 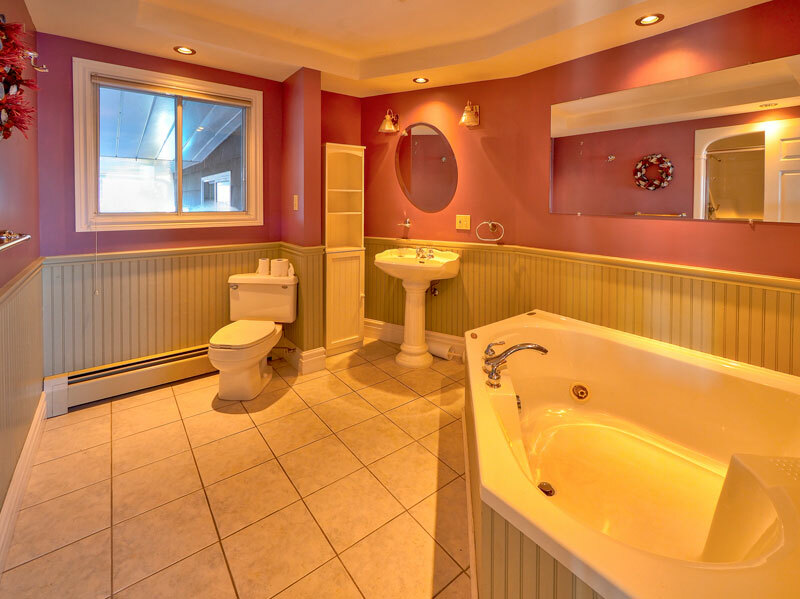 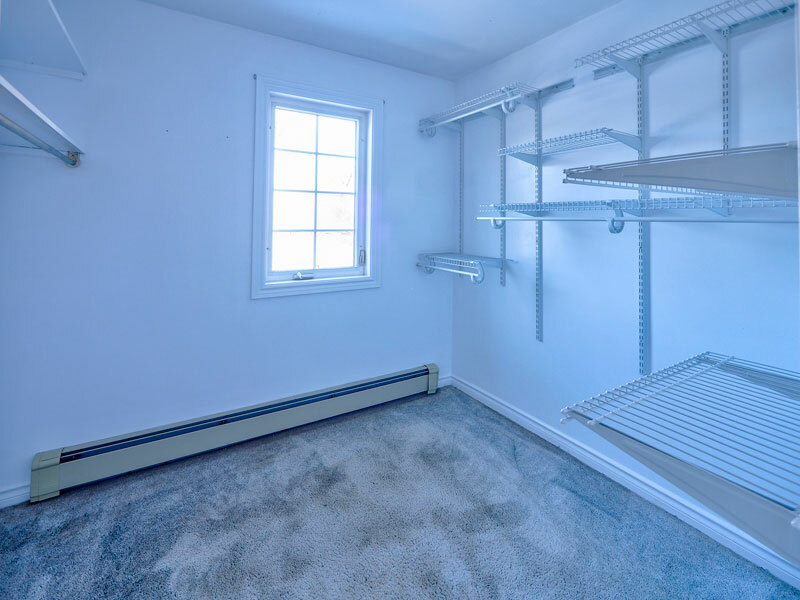 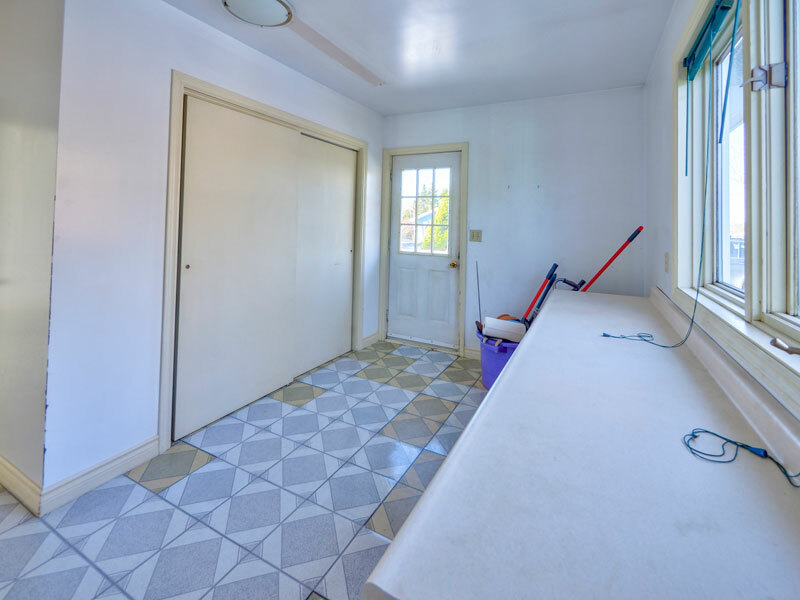 This level also includes a half bath / laundry room, lots of storage and a bright built-in double garage. 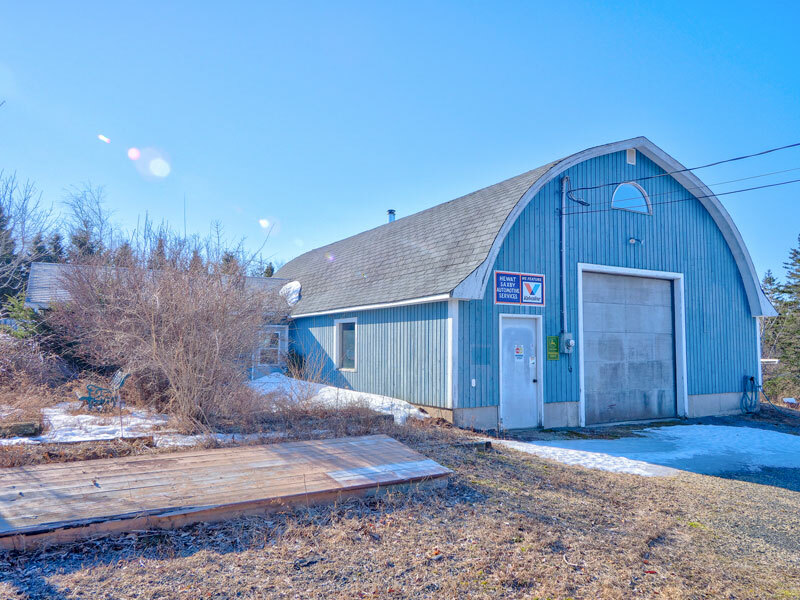 The bonus 30' x 44' barn-like building with loft and attached offices is ideal for someone looking for a home business. 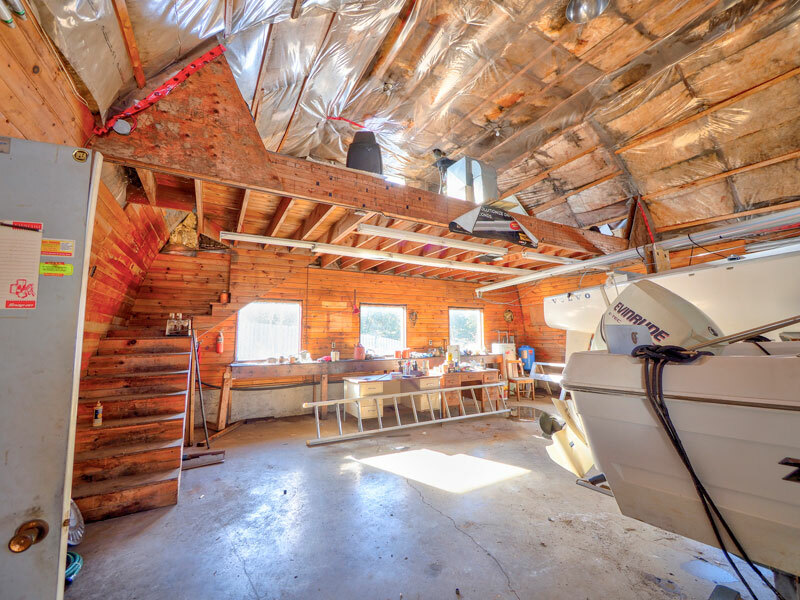 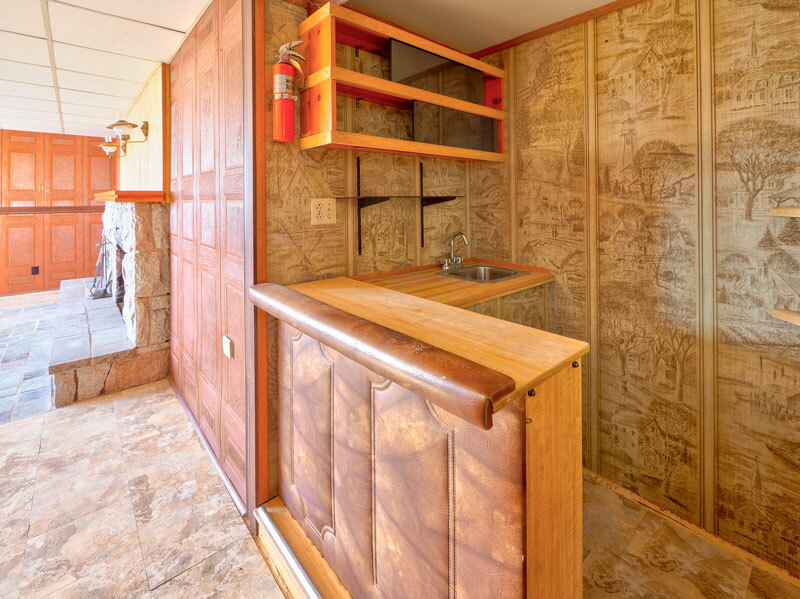 It's a great space to tinker on one's boat, restore that car of yours that you have always talked about doing ... other projects projects ... boat or RV storage .... on the back of the lot, only steps from your kitchen door! 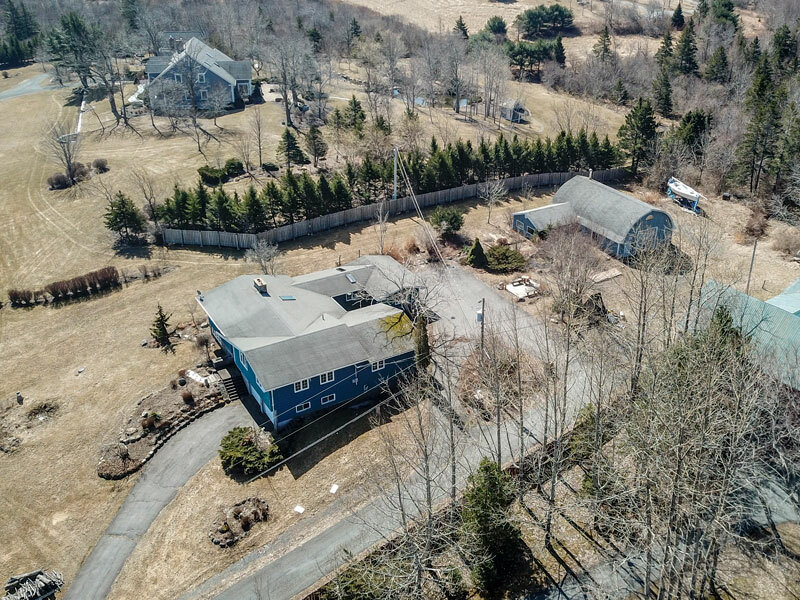 Martins Brook is a pretty seaside neighbourhood, between the UNESCO town of Lunenburg and Mahone Bay ..... offering interesting artisan shops (pottery, pewter, rug hooking etc), fun cafes, museums, golf courses, boating, festivals, and more, all on Nova Scotia's treasured South Shore. 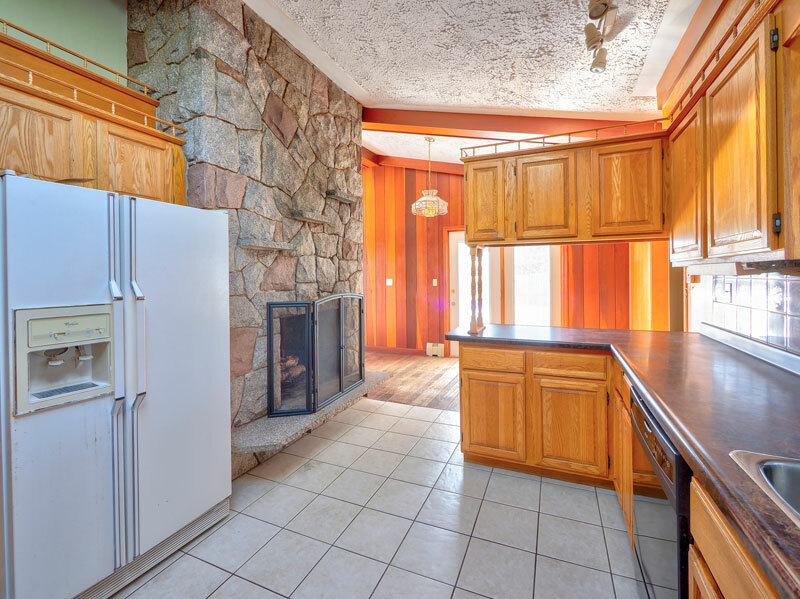 1.3 acres + 2,286 sq. 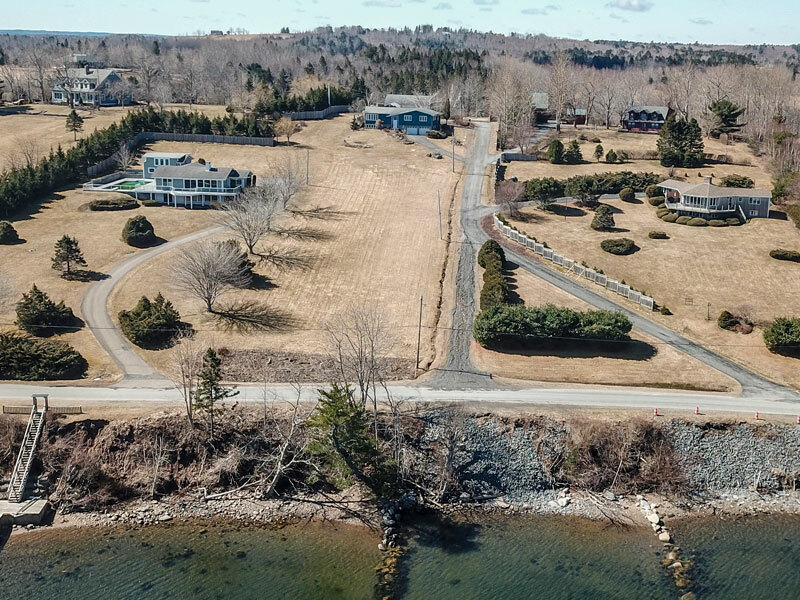 ft.
Hwy 103 to Hwy 3 to the town of Mahone Bay to Mader's Cove on Hwy 3, left on Maders Cove Road, right at stop sign on Herman's Island Road, straight to Princes Island Road, waterfront lot on left, house on right.